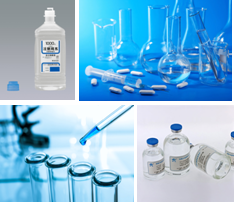 Within the pharmaceutical industry, water is most commonly used in liquid form, not only as an ingredient in many formulations bot also as a cleaning agent. Production of Purified Water, Highly Purified Water, Pyrogen Free Water and WFI to international pharmaceutical standards is widely recognised as a critical process. MS RO System (Skid) is based on the key technology of RO membrane, and combines with UF/MF, EDI/IX, Activated Carbon Filter and UV equipment to effectively remove organic matter, heat source, virus, TOC, salt ions of raw water. It’s applied to the production process of pharmaceutical industry in the world, and the production water is up to the pharmacopoeia standards of purified water in Europe and US. MS is a leading provider of pharmaceutical water treatment systems and services. Each client has a unique set of requirements, like high volume or economical performance. MS UPW RO system help companies maintain profits by meeting water production requirements, as well as, controlling capital and operating expenses.